These are some of the projects which Roger has been involved with in a consultative role. David Gordon Tucker was born on the 17th June 1914 and died aged 75 on the 8th March 1990. 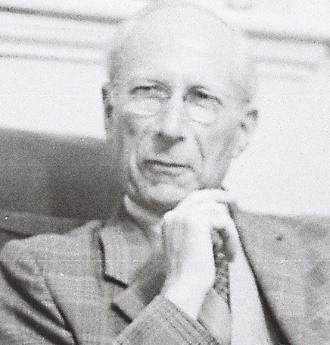 During his lifetime as an engineer, academic, and industrial historian he published well over 300 items, most of which were articles in various journals and periodicals. Sometimes, in order to publish all his information, Gordon would publish similar articles in a number of journals, all with a different emphasis and with differing details. Unfortunately the passing of time has left the total information dispersed. In the 53 years during which he was actively publishing, Gordon averaged six published items per year, that is one every two months (this was in the days before word processing!). This gives some idea of the amount of work that he undertook and the importance of his archive. The Publications of Dr. D.G.Tucker. Millstones To MegaWatts - A Bibliography for Industrial Historians. See also his Millstones Making lecture where Gordon speaks on one of his earliest industrial archaeology research topics. The aim of the Morphological Learning project was to apply advanced machine learning techniques in order to learn the rules for morphological analysis of synthetic (morphologically complex) languages, providing both technology and tools to be applied in different domains of Speech/Language Technology, particularly TTS. Conventionally, an enormous length of time is required for creating morphological rules by hand for Speech/Language Technology systems. The much more efficient alternative investigated was to apply machine learning techniques to train on real data. The StoryBank project examined technologies and practices to allow digitally impoverished communities in rural developing world contexts to take part in the user-generated content revolution. The approach involved combining mobile phones to create audio-visual stories and a touch screen display situated in a community meeting place. The aim of the VeSel project has been to enable rural communities in Sub-Saharan Africa to use advanced digital technology to improve their agricultural practices and literacy levels. A team of UK experts in telecommunications, renewable energy sources, sensor technology, education and design worked with local experts at the University of Nairobi, organizations such as Aptivate, agricultural information providers and teacher training organizations in Kenya. This collaboration enabled VeSel to define the most urgent information requirements for a rural farming community and to design and test appropriate technologies to meet these needs. The aim of the Fair Tracing project was to support Ethical Trade by implementing IT Tracking and Tracing Technologies in supply chains to provide consumers and producers with enhanced information.